Niyama Private Islands Maldives continues to be lauded for offering uniquely diverse experiences amidst luxury and style as Condé Nast Traveler recognised it as the No. 7 Top Resort in the Indian Ocean. Niyama shares this accolade at the 31st annual Readers’ Choice Awards with sister property Naladhu Private Island Maldives, which was named No. 1 Top Resort in the Indian Ocean and No. 3 Top Resort in the World. The Readers’ Choice Awards epitomises authenticity, personalisation and the unexpected in the travel industry. This year, nearly half a million Condé Nast Traveler readers submitted a recording-breaking number of responses rating their travel experiences across the globe. Niyama Private Islands Maldives goes beyond being a luxury resort in the Indian Ocean. It offers a distinct twist on the Maldives with two islands – Chill and Play, perfectly blending adventure with serenity in nature’s playground. 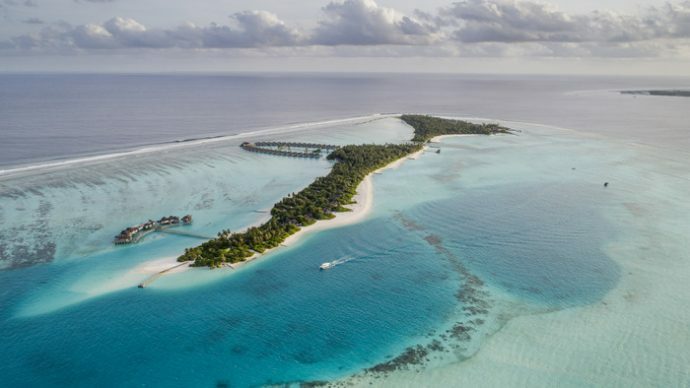 “We are thrilled that Condé Nast Traveler readers appreciate all that Niyama Private Islands Maldives has,” General Manager Hafidh Al Busaidy was quoted in a statement, as saying. Niyama Private Islands Maldives offers more than a luxury retreat in the Maldives. Going beyond conventional concepts of lavish accommodation, sumptuous cuisines, and lavish services, Niyama presents every visitor with myriad opportunities to create their own exceptional island experience. With twin islands Play and Chill, Niyama offers you the true luxury of choice, with everything expected from an island resort and so much more. Chill is true to its name. You can discover new depths of relaxation at the Drift Spa, or take in a movie under the stars at the outdoor cinema. Just off the coast, enjoy a fine dining experience at Edge accessible only by speedboat, while Subsix invites you the world’s finest underwater seafood restaurant and night club. Play provides delightful diversions for those looking for more active pursuits. On the water, you can kayak around the islands or discover why Niyama is amongst the hottest surfing destinations. Bicyclists can explore the island at their own pace, perhaps lured by the aromas from the chef’s spice gardens.